He dribbles, he shoots—and somebody else scores! That’s not exactly how you’d like March Madness to go, but this year’s big games can be different. Everybody is glued to the television to see who makes it to that final basketball game. And many people have placed their bets. But why not turn the tournament into a giving experience? With so much attention on the big game, there’s plenty of opportunity to connect with people you’ve never reached before. Here’s how you can score for other people during March Madness. Everybody and their dog made a bracket this year. From President Barack Obama to Kid President, the entire country is watching to see which way the points will fall. And although everybody has filled out a bracket to see who will make it to the big dance, nobody’s dancing yet. That means you’ve got time to turn the tournament into a giving act. There may not be 64 teams left in the tourney, but that doesn’t mean you can’t start a later bracket. The Sweet 16 starts in a few days, and you’ll have plenty of time to find out who’s in and who was sent packing. Then, round up your friends to make their picks... again. But instead of using a buy-in and giving the winner the cash, give the money to a local charity. Or, have local companies pledge a certain dollar amount to nonprofit organizations for the number of points scored. March is a time when tons of young kids will pick up a basketball because of the atmosphere surrounding the month. It’s all around them, and they notice. That means that March is a great time to be a mentor in a youth’s life. They don’t care if you were the star of the high school team or the water boy/girl. All that matters to them is that they have somebody to play the sport with and look up to. So lace up the sneakers and grab a ball. As long as you’re spending time with a youth, they won’t notice your amazing (or lack of) basketball skills. Search online for an organization that can match you with the right youth. Whether you’re good or not at basketball, you can still put whatever skills you possess to use. If you can’t hit the broadside of a barn, then put your planning skills to work. Organize a fundraising tournament for an organization of your choice. The fundraising opportunities are endless. From the registration fee to concessions and special partners and sponsorships, there are plenty of ways to get involved. And you don’t have to do it alone. Get together a group of your friends to help you organize, play in the tournament or referee. No matter how you choose to play, let the March Madness continue—for good. 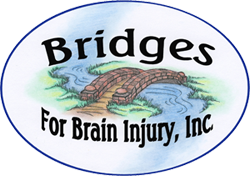 © 2019 Bridges for Brain Injury, Inc.